From goodreads: I wasn’t always in love with Colton Calloway; I was in love with his younger brother, Kyle, first. Kyle was my first one true love, my first in every way. 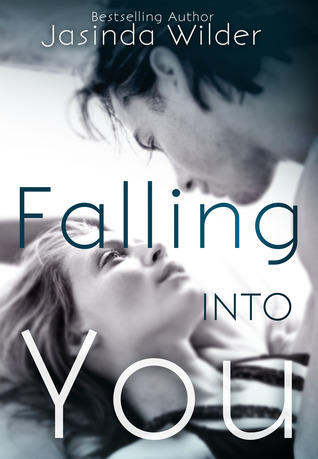 Falling Into You is the perfect book if you are in between reads. It has the perfect amount of angst, push and pull and just enough steam. I did enjoy this story and it’s definitely entertaining. It’s a journey about two broken people who find comfort in each other despite what happens to them. This story has been done before but there was something about the characters that drew me in and kept me reading. I think it had a lot to do with Kyle and Nell. I absolutely loved those two together and who doesn’t love best friends that fall in love? Kyle and Nell are a huge part of why I enjoyed this book so much!!! I will say that there were parts to this book that felt rushed, especially when it came to Kyle. Moving onto Colton…oh my goodness!!! I absolutely loved him but I’m not sure why didn’t learn more about him from the beginning. There was never a mention of him before which made me turn back a few pages to see if I had missed something but I didn’t. He simply wasn’t mentioned. I guess that’s not a big deal but it left a hole in the story. Colton definitely had depth and I enjoyed this character immensely but again, I felt the issues he had were rushed and told vs. letting me feel them. Also, he’s the son of a politician and yet he’s on the streets, all gansta and whatnot…that simply didn’t ring true to me. I feel as though I am picking this book apart and that’s not my intention and it’s making me feel like my review is all over the place and choppy, which most likely it is. This is what you need to know, it’s an entertaining read. If you are waiting for other books to be released this will satisfy the feeling of…”what do I read next” syndrome. It’s a highly popular story and who knows, maybe it will be your next favorite book!